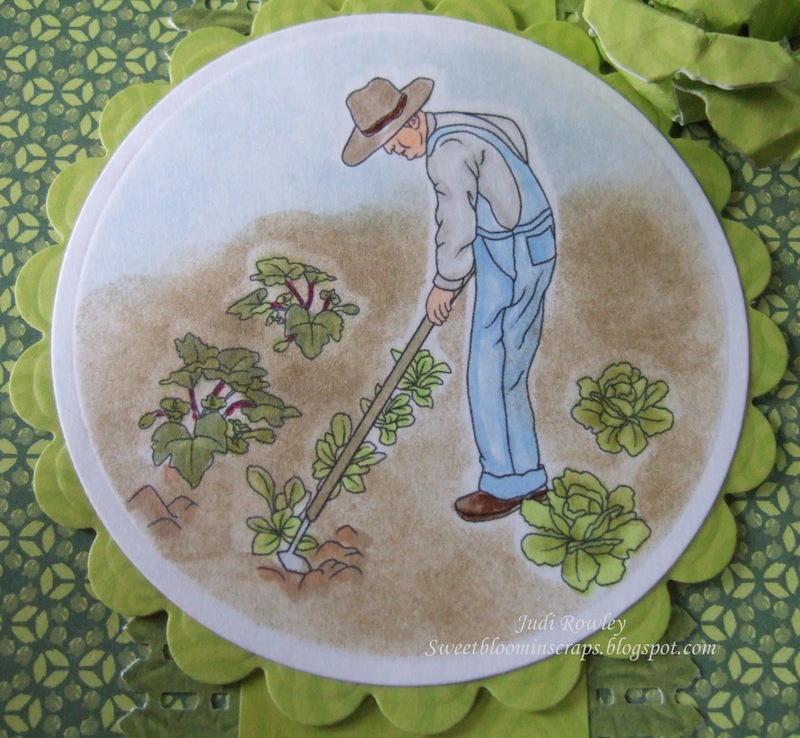 When I saw this image, In The Garden, at Digi Doodle Shop, it reminded me so much of my father. 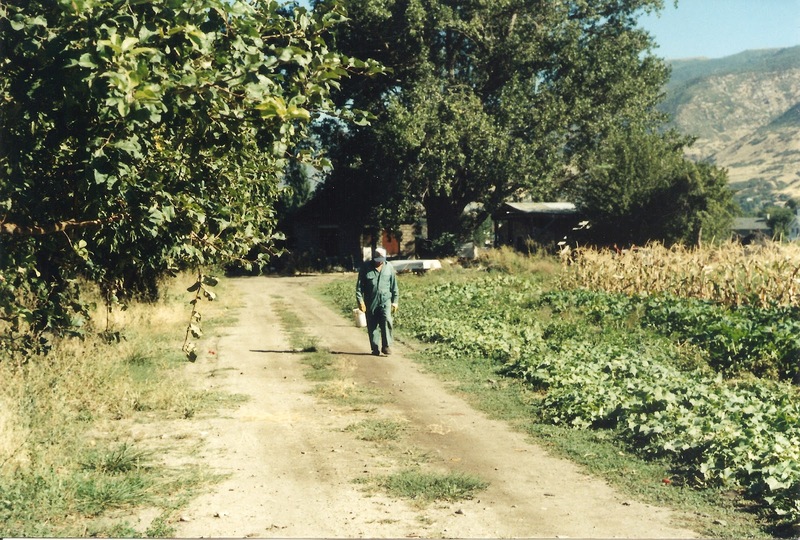 He raised a garden every summer until he was 90 years old....just three years before his passing. He taught all of his children so many things about life using analogies from the garden. What a man! Thanks, Dad, for your wonderful words of wisdom! 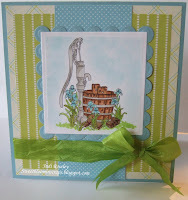 I made this card while I was visiting Arlana in March...and created this little lettuce or cabbage head using the matching paper and Tim Holtz Tattered Florals die. It took lots of scrunching from me and Arlana but I think we finally got the look I wanted. Then I used the MS Fence border punch to fence in the garden. I masked off the image and sponged the soil and sky. What a fun and easy sketch! Thanks, Arlana! 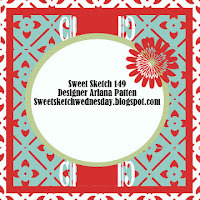 Digi Doodle Shop is our sponsor this week at Sweet Sketch Wednesday. 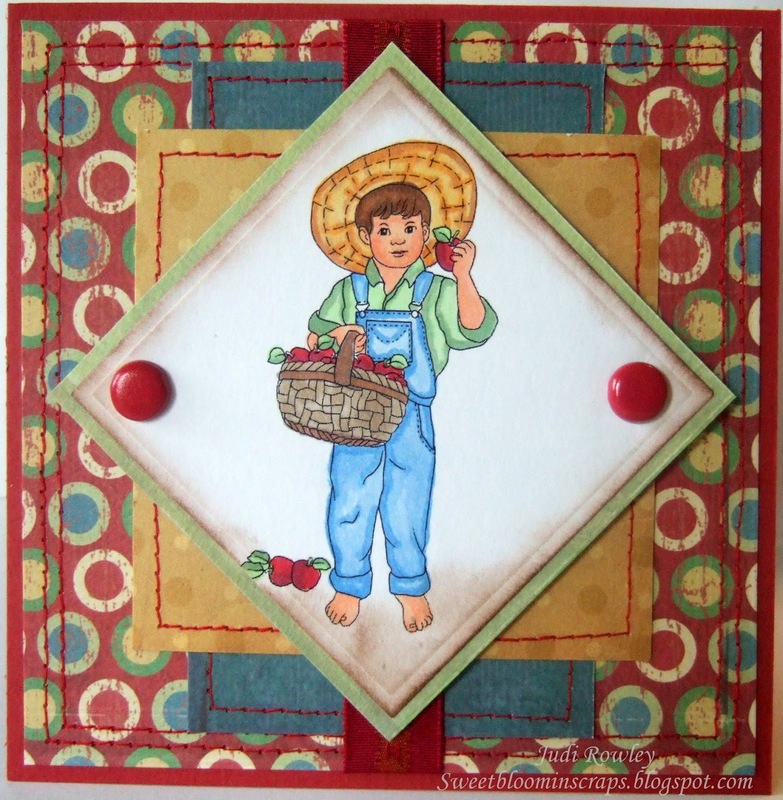 You will love the images that Judy and Joy create! 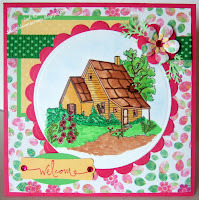 Below are a few of my past cards made with Digi Doodle Shop images! 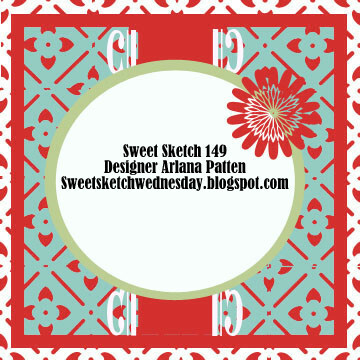 Grab the sketch and play along! 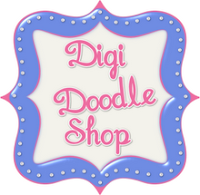 We'd love to see what you can do with Digi Doodle Shop images! Check out all the rules at SSW! 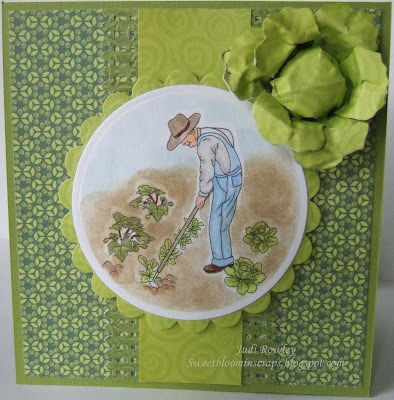 Love this great card, and you cabbage is wonderful. Such a great story about your dad. Judi, your card is beyond words wonderful!! Love your cabbage "flower" and sponging of the earth and sky!! Simply a beautiful card. 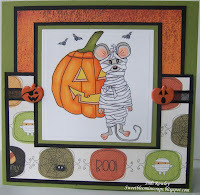 Judi, you know how much I love this card. Your little caggage is wonderful. And your image is so much like dad. But, when I saw the picture of dad walking down the road in the picture, I just wanted to cry. Talk about a floud of happy wonderful memories coming back into my mind. Thanks for bringing these precious memories back to life for me. That could be my Dad as well, he gardened all the way until his passing, even the spring after after by pass surgery in January one year. 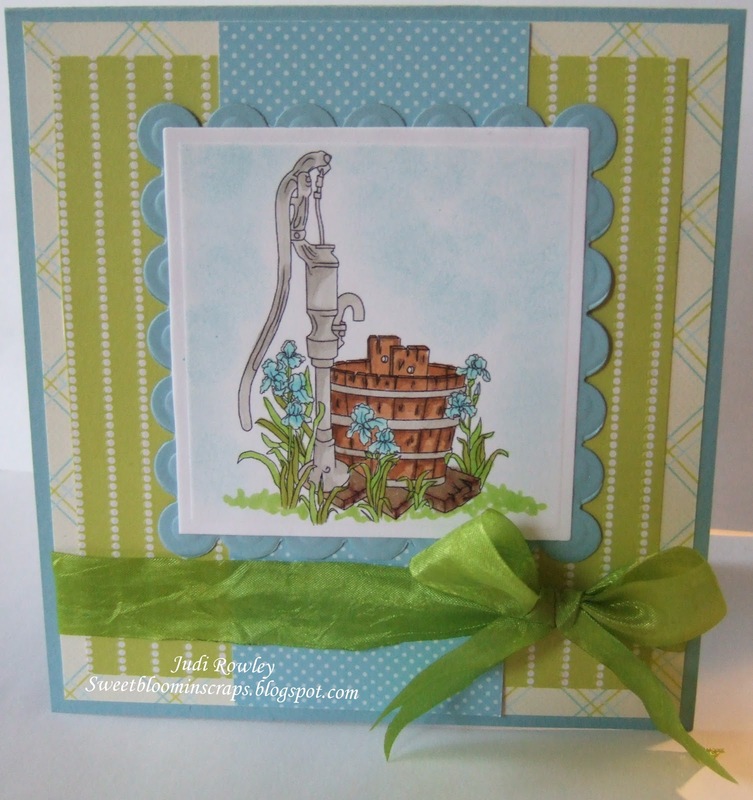 He loved it....and I love your card, never would have thought of making a cabbage, you are so creative. this card really wow'd me! 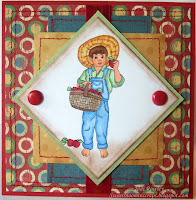 it's so wonderful and your head of lettuce/cabage is an amazing creative touch! So fun to have you join us! What a great tribute to your Dad - this is just beautiful! Oh Judi I knew this was a tribute to your Dad, it's a wonderful card and so creative with your Cabbage or Lettuce. 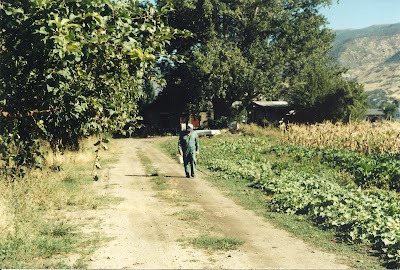 Your photo of your Dad walking down path remind's me so much of my Dad on the farm and looking at his vegetable garden even down to the green overalls. Later in life there were more vegetable gardens on the farm than paddocks ha ha. Wishing you a wonderful weekend.